I am not sure if this "new" option was already available from the beginning. I noticed it in my Ubuntu 12.04 LTS beta only recently and when I checked, it was not available in the previous Ubuntu 11.10 release either. 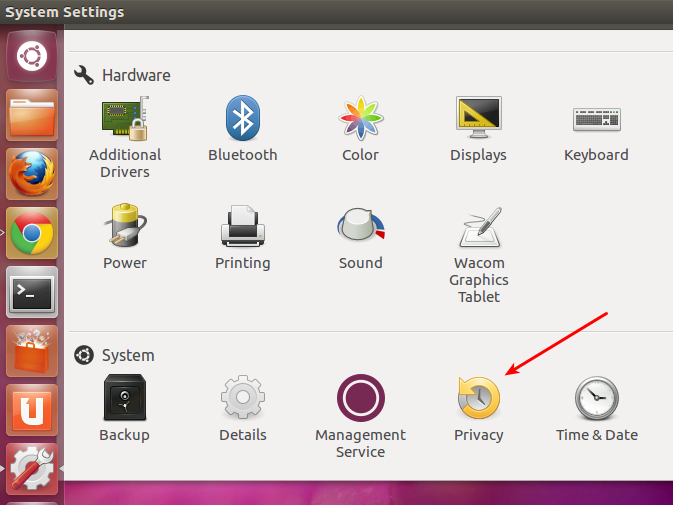 Of all the new features that has been added to Ubuntu 12.04 LTS, I think this new 'Privacy' menu deserves a special mention. 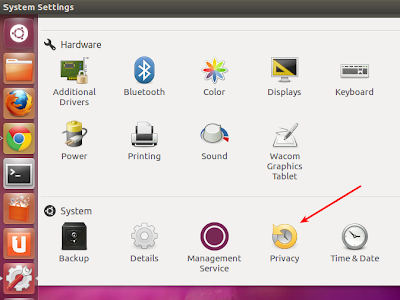 Ubuntu 12.04's new dedicated Privacy menu has a lot going for it. Since the new Unity UI records your recent activity for better working of functionalities like Unity Dash, control of what Ubuntu is allowed to record and store becomes paramount. As you can see, Record Activity option is set to ON by default. 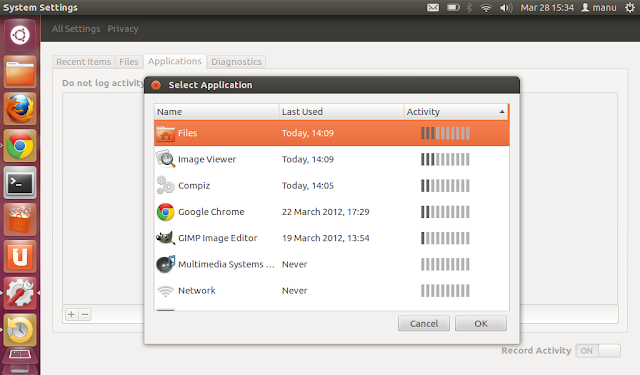 Also, there are options for deleting every bit of information that has been stored overtime. You can specify the kind of files whose activities you don't want to be recorded. Optionally, you can deselect specific folders from the watch-list. Same can be done for applications as well. 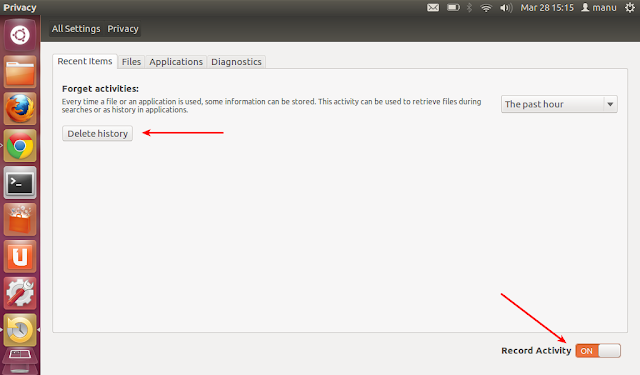 You are allowed to manually select specific applications that you don't want to be recorded. As you can see, selecting applications has also been made easy since it comes sorted based on their daily activity by default. And then there is this diagnostics tool which when activated, lets your Ubuntu send anonymous information such as error reports to Canonical automatically. Also, this option is disabled by default. I am not sure if this option will be there at all in the final release. Overall, I feel that, Canonical's new found thrust on user-privacy is a step in the right direction.